Poplar Healthcare » Joshua B. Tennenbaum, D.O. 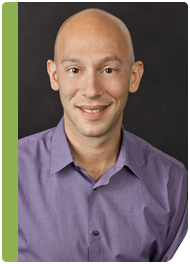 Dr. Joshua Tennenbaum received his Doctor of Osteopathic Medicine (D.O.) degree in 2003 from the Philadelphia College of Osteopathic Medicine. After receiving two years of training in Family Medicine, Dr. Tennenbaum completed his four-year combined Anatomic/Clinical pathology residency at the St Louis University School of Medicine and a one-year fellowship in surgical pathology at the Washington University School of Medicine. Dr. Tennenbaum joined GI Pathology, Memphis, Tennessee in February of 2012 after a year of general surgical pathology private practice in Phoenix, Arizona and has since completed a one-year fellowship in gastrointestinal pathology. He is currently a staff pathologist with GI Pathology. Dr. Tennenbaum holds memberships in several professional societies, including the American Osteopathic Association (AOA), the College of American Pathologists (CAP) and the United States and Canadian Academy of Pathology (USCAP).